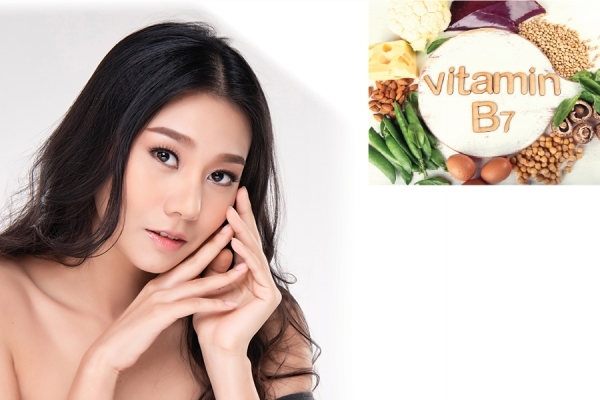 Biotin, also known as vitamin H or B-7, has numerous benefits for the body. From the nails to the nervous system, just small, daily amounts of this complex B vitamin will leave any one looking and feeling better. A main function of biotin is to break down protein and fat in the body. Because the nails, hair, and skin are all made up of keratin, a fibrous protein, the health of all three can be boosted by biotin. The vitamin may also help with acne scarring. Although rare, a biotin deficiency can manifest through dry skin, brittle nails and hair, and hair loss. Biotin helps the body convert food to fuel, promoting a healthy nervous system and liver. Biotin is said to regulate blood sugar, maintain healthy cholesterol levels, help thyroid and adrenal function, and aid in repairing and building muscles and tissues. It also plays an essential role in health during pregnancy. Because it is water-soluble, the body cannot store backup reserves of biotin, making daily absorption of the vitamin important. Only a small amount is necessary in order to maintain a healthy biotin level, and this can be obtained through eating foods such as legumes, mushrooms, avocado, eggs, cauliflower, berries, fish, sweet potatoes, and spinach. Biotin can also be taken as a daily supplement. Studies indicate, however, that biotin is best absorbed through ingestion, rather than topically through the skin. Using eyeliner as eye shadow is easier than you think!